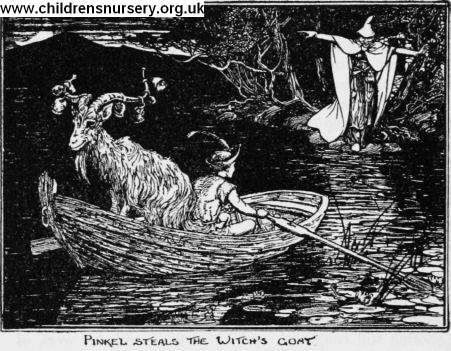 The king was so delighted with the goat that he always kept it by his side, night and day; and, as he had prom­ised, Pinkel was made ruler over the third part of the kingdom. As may be supposed, the brothers were more furious than ever, and grew quite thin with rage. 'How can we get rid of him?' said one to the other. And at length they remembered the golden cloak.